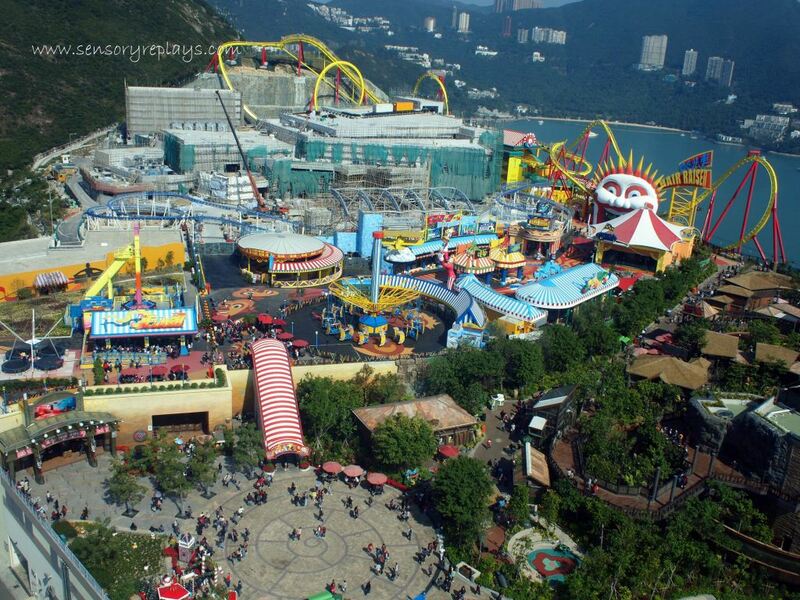 ocean park hongkong was a few minutes away by bus from the serviced apartment where i was staying. i bought a ticket to visit the theme park from the reception at ovolo. 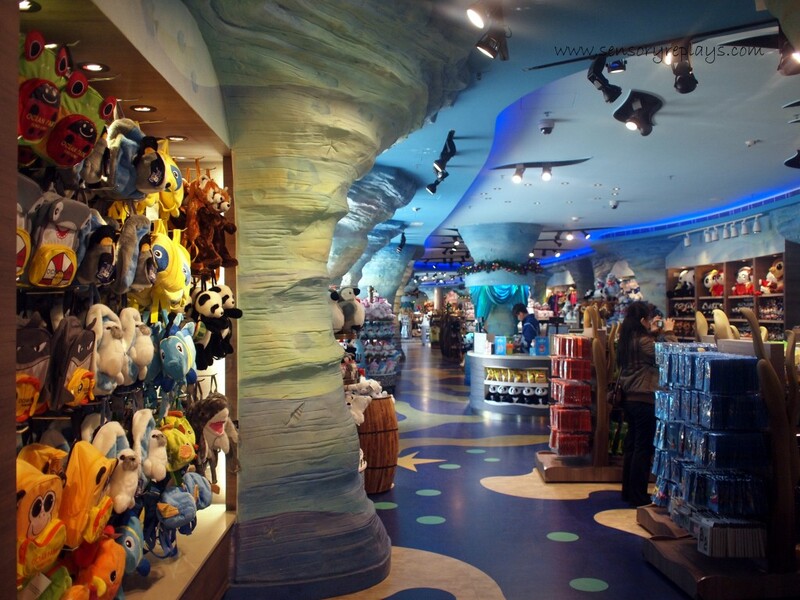 i was reluctant at first to visit the park alone but i thought it will be a different experience for me. i took bus 72A and a kind english-speaking chinese woman whom i met while walking on the road gave me the directions to reach ocean park because the bus will not pass by the park itself due to the ongoing road construction. 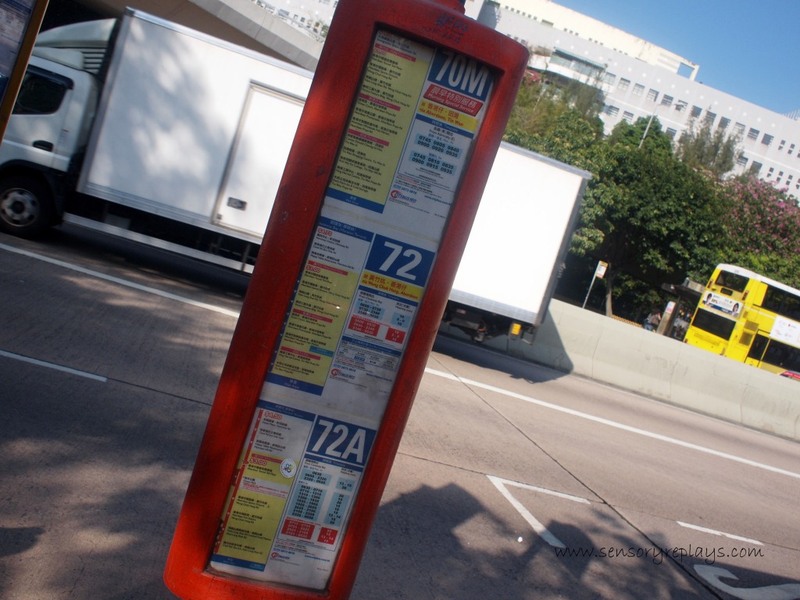 i did found it after relying on her instructions and reading signs (ike the one above) that i saw along the way. i waited for a few minutes for the park to open and had to fall in line for there was a crowd piling up and knowing it was a sunday, i was expecting that there will be a lot of visitors. i was kind of looking for a lone traveller like myself but i never saw one. 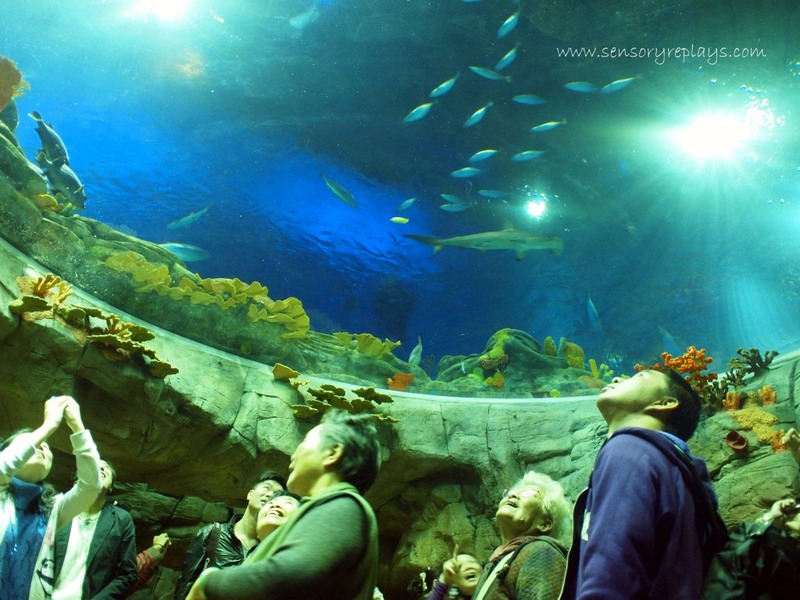 the first attraction i visted was the grand aquarium which houses a myriad of sea creatures. see how fascinated these people were! 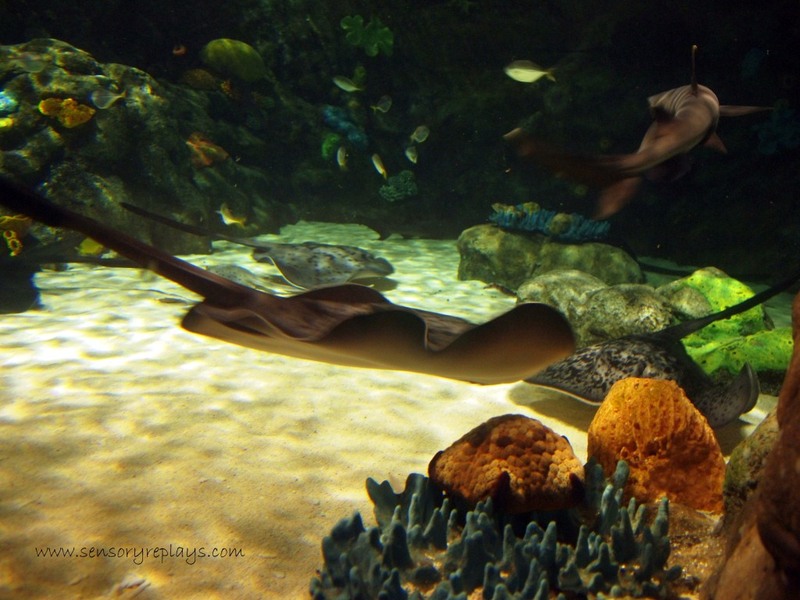 a close encounter with these stingrays and sharks! they camouflage themselves like water weeds but they are not! 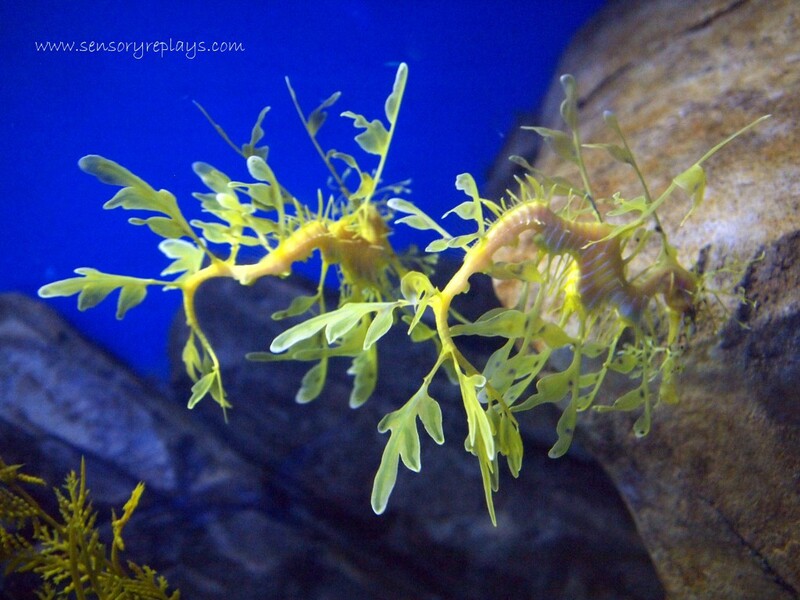 these are actually leafy sea dragons that move like graceful ballerinas in the water. 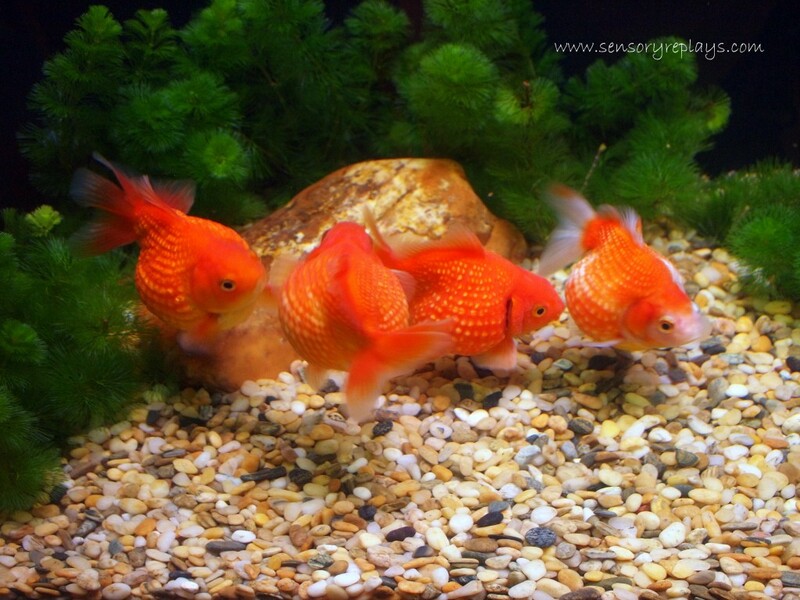 after visiting the grand aquarium, i went to goldfish treasures where they feature varieties of goldfish like this one. 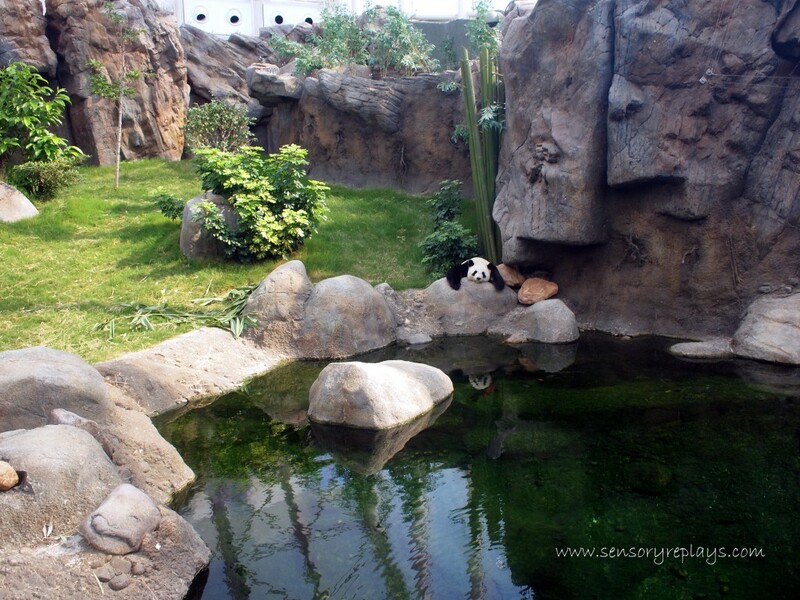 the giant panda habitat is home to a panda named jia jia. it was feeding time when i got there so i got the chance to see her closer. 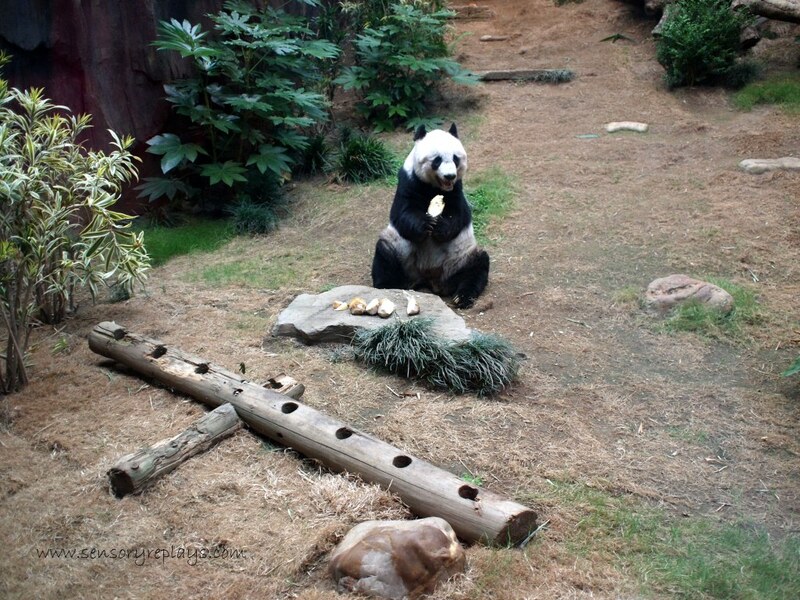 another panda i saw was le le, at the giant panda adventure. i realized that it was near lunch time and needed something to eat. 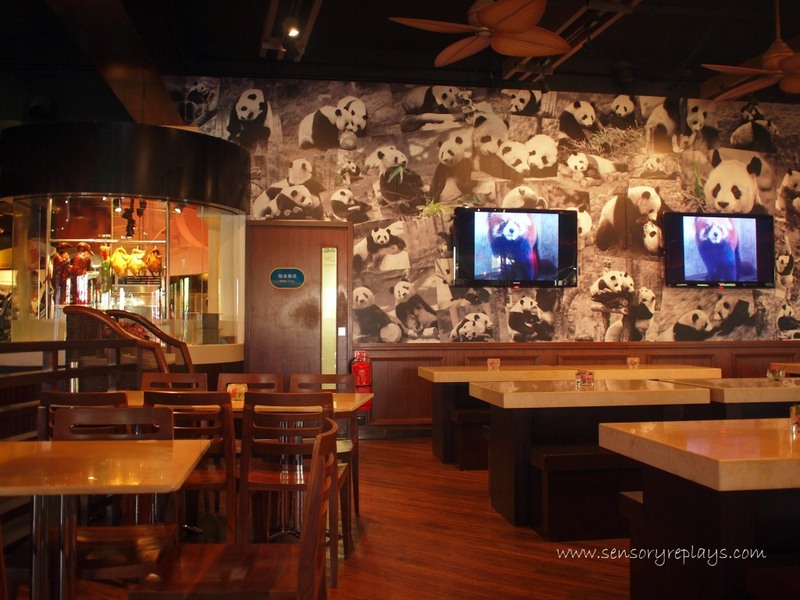 i chose this restaurant, panda café. the eatery serves asian food menu, mostly sichuan specialties. i ordered some seafood congee with deep-fried rice flour pastry and red-bean and jelly milk drink. i proceeded walking around the park after my light lunch and went to the gator marsh and had an embarassing moment as i crawled like an alligator! 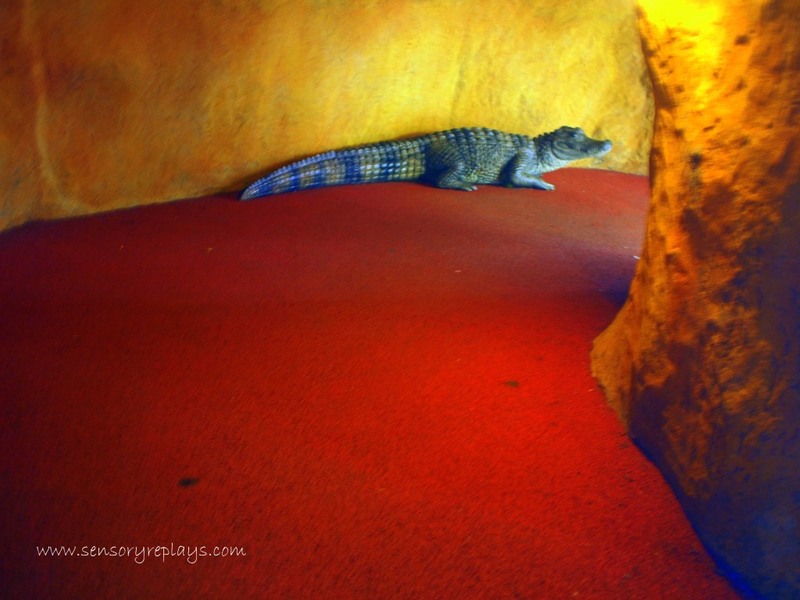 i did crawled inside and i got startled for i thought that there was a real gator! lucky for me that i did not hit my head in the cement out of my stupid reaction, haha! 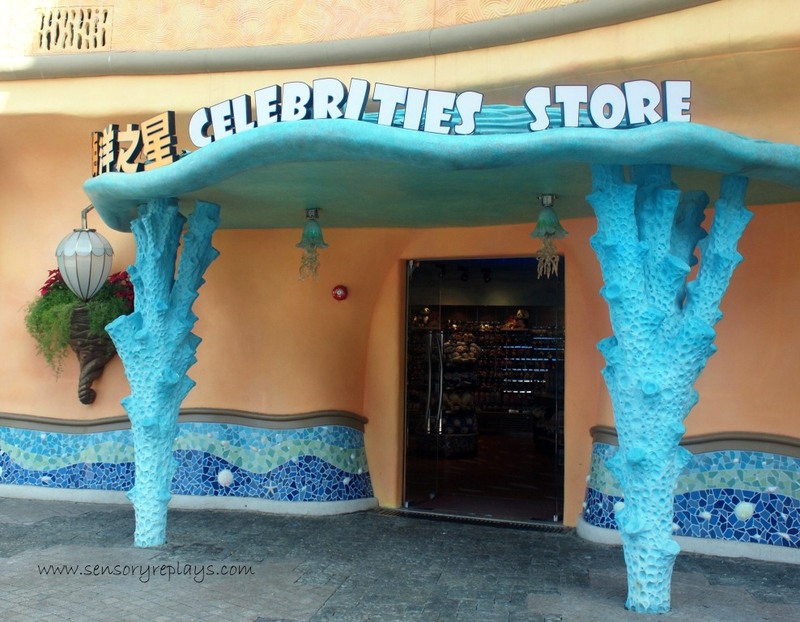 there are a lot of shops around the park like the celebrity store. i bought some ref magnets and key chains though there were a lot more souvenirs to choose from, i found most of them too expensive. 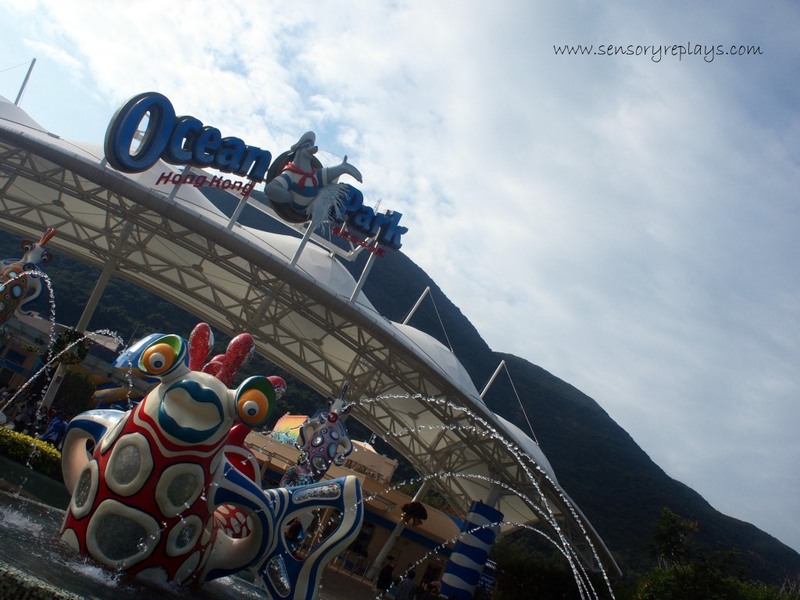 ocean park is actually divided into two, the waterfront and the summit, where the fun rides are located. i took the ocean express, a railway system that will transport me to the summit. 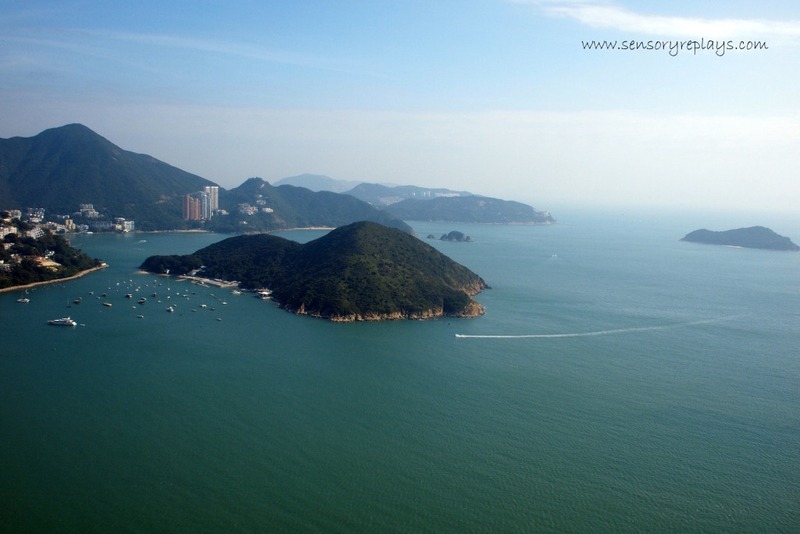 i took a picture of the nearby island from the summit. some of the rides at ocean park – including the floor-less roller coaster, hair raiser which i did not plan to try or even dream about. ocean park tower is said to be one of the tallest observation towers in southeast asia. it has a rotating observation deck at the top. 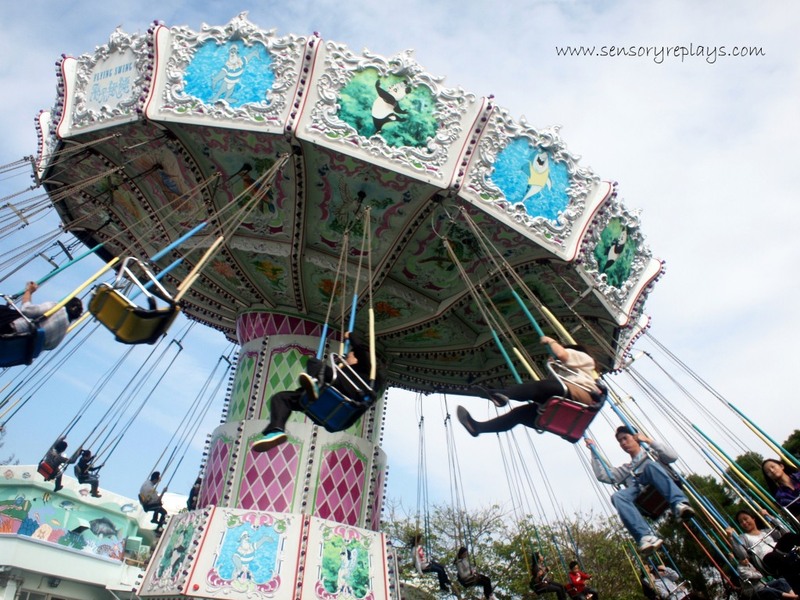 i made a mistake riding the flying swing which made me nauseous after the ride. 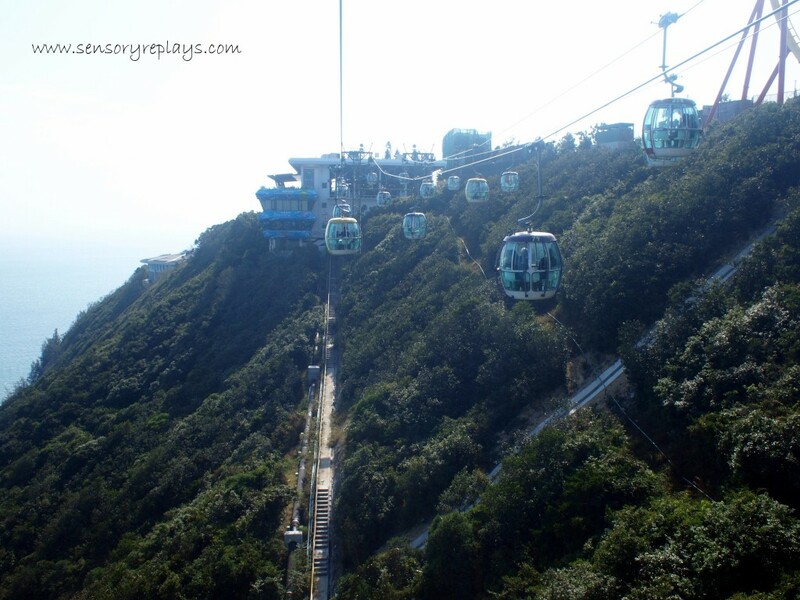 i was alone in the cable car but i really did not mind and enjoyed the view. 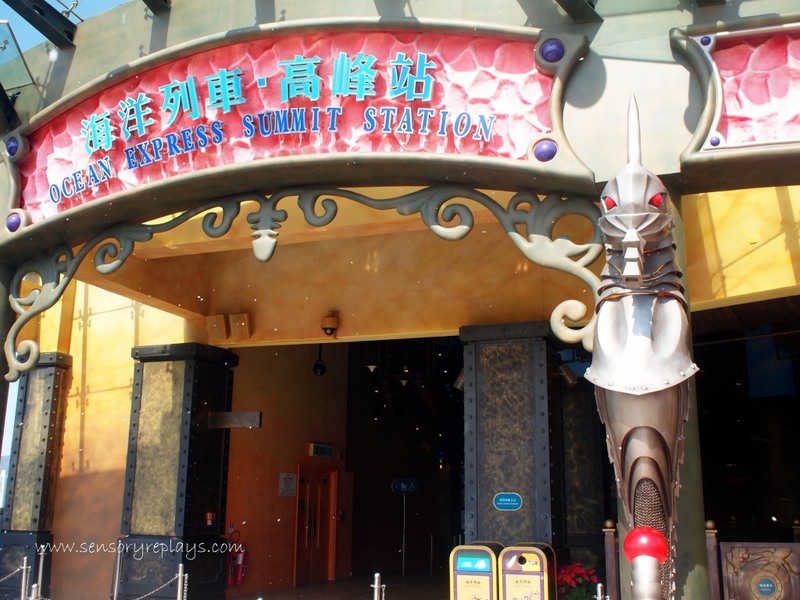 i just proved to myself that theme parks are better off for families and not lone travellers, hehe. 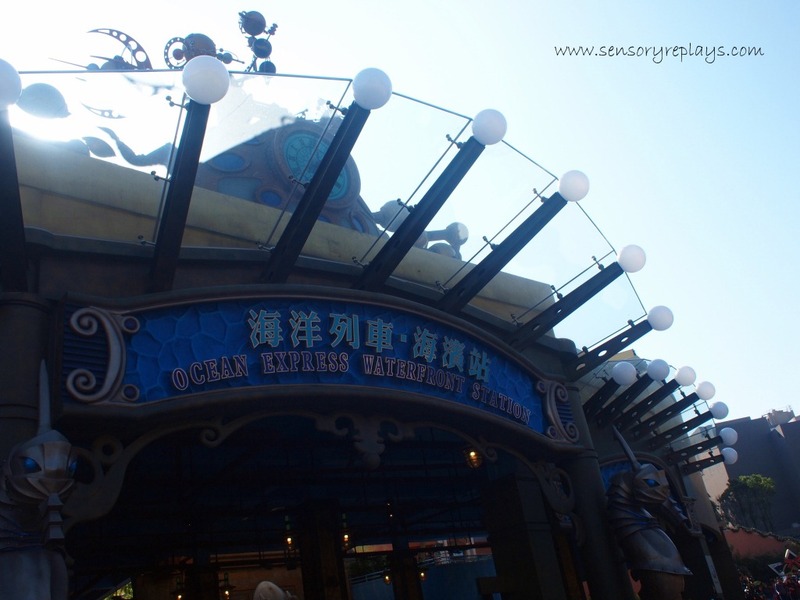 i cannot say that i enjoyed my visit fully, it was sort of for the sake of just visiting ocean park for i was already there. 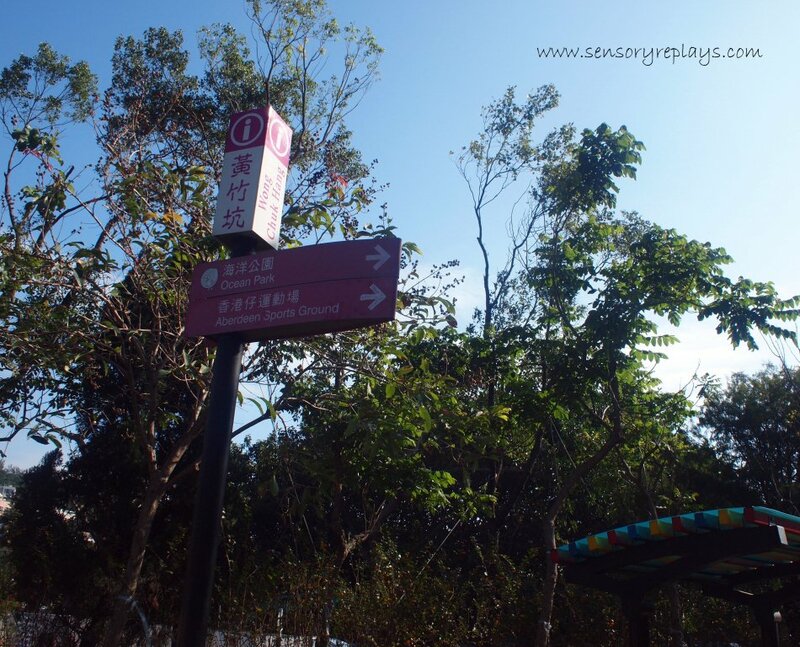 This entry was posted in been there and tagged aberdeen, cable cars, celebrities store, flying swing, giant panda adventure, grand aquarium, hair raiser, hongkong, lone travelling, ocean express, ocean park, ocean park hongkong, ocean park tower, panda, panda cafe, seafood congee, solo travel. Bookmark the permalink. ayoko ng reptiles! siguro ako man magugulat at malamang mauntog sa aligator crawl na iyon. sa laki kong ito, baka naman di ako magkasya doon, haha! 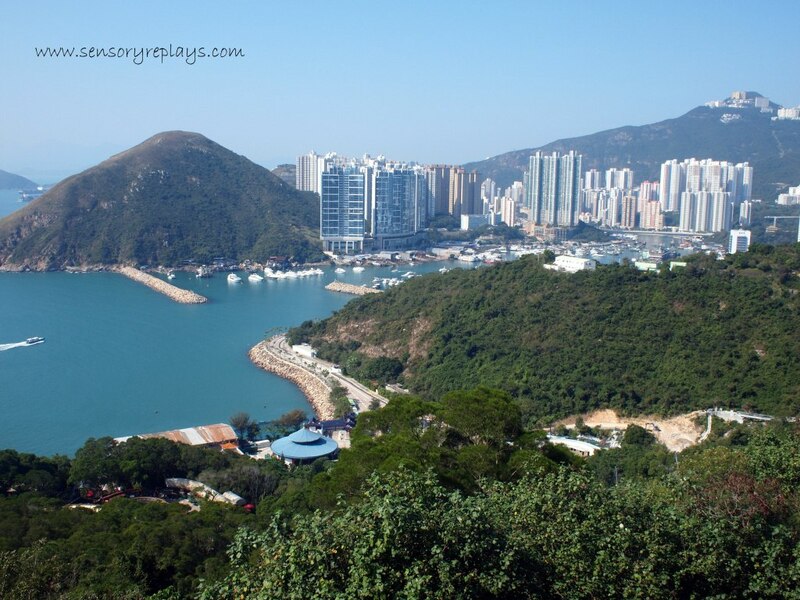 did you go to HKD? .. tama ka doc, para rin ako nasa ek pero malawak nga lang ang ocean park. okay naman yung cable cars medyo maalog nga lang dahil siguro nag-iisa ako?! di ko talaga kaya enjoyin ang mga rides at madali ako mahilo, napauwi ako ng maaga for i felt so nauseous. .. was not able to visit hkd, kulang na sa araw and i really did not have the urge to go. hintayin ko yung visit mo dun para magkaidea ako, i’m planning a trip there with the family – sana matuloy. aaww, reminds me of my younger years. char!! 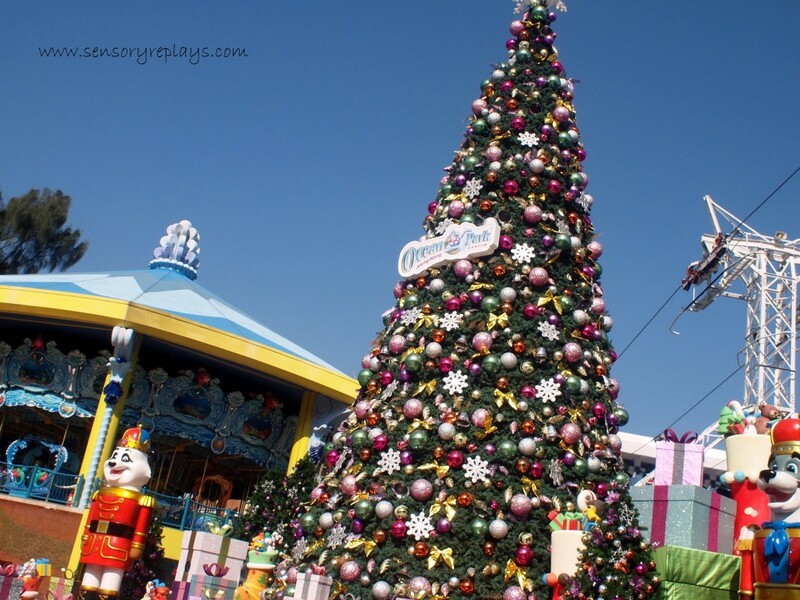 and i agree, theme parks (and beach trips) are better to enjoy with friends/families. .. alam ko bakit may “aaww”. may ka-holding hands ka dati dyan e! 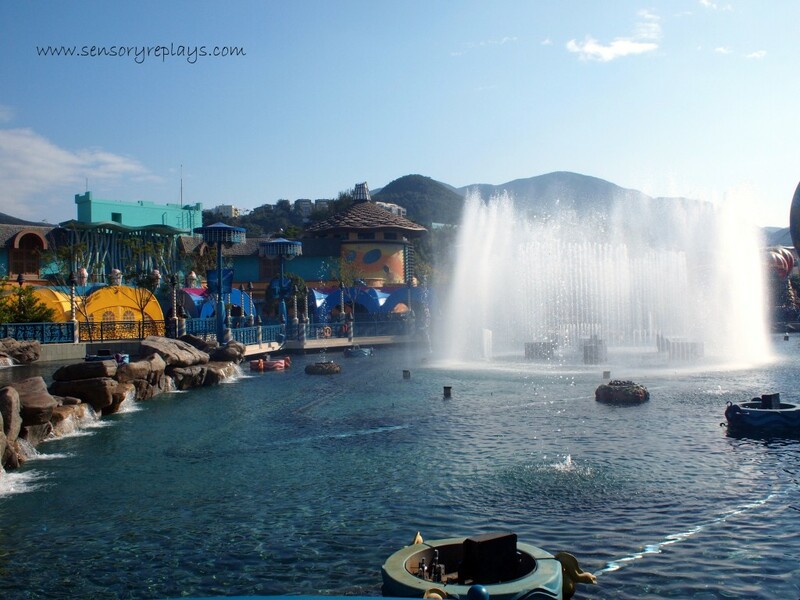 .. theme parks are not for loners, beach pwede pa. walang karapatang mag-emote sa theme park! haha. at least ibang experience naman, di ba? hindi pa ako nakakarating ng hongkong at ang gusto kong ma experience dyan ay ang food binge!!! .. onga keng! kahit dun lang sa aberdeen tabi-tabi ang mga restos, kaya lang tipid ako kaya puro fast food ang mga kinainan ko. .. prinsesa panda? – di bagay, haha! nyahaha onga. rob bakit ang tagal ng bagong post ha nasan ka nalunod ka na ba sa ocean park? nyahaha. rob, i tagged you in a meme! .. i’ll blog about it pm, thanks for the link. 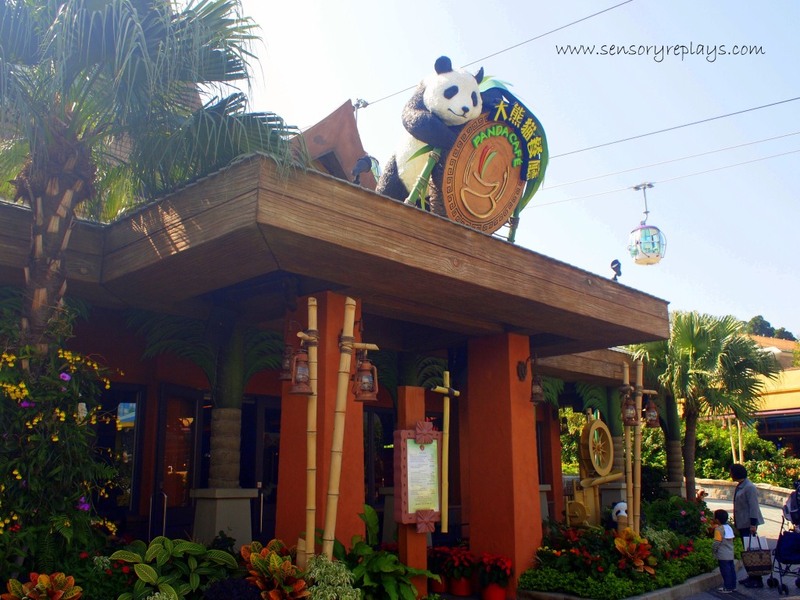 i would be staying in the panda habitat a while then head on over to the cafe. the congee must be really good. 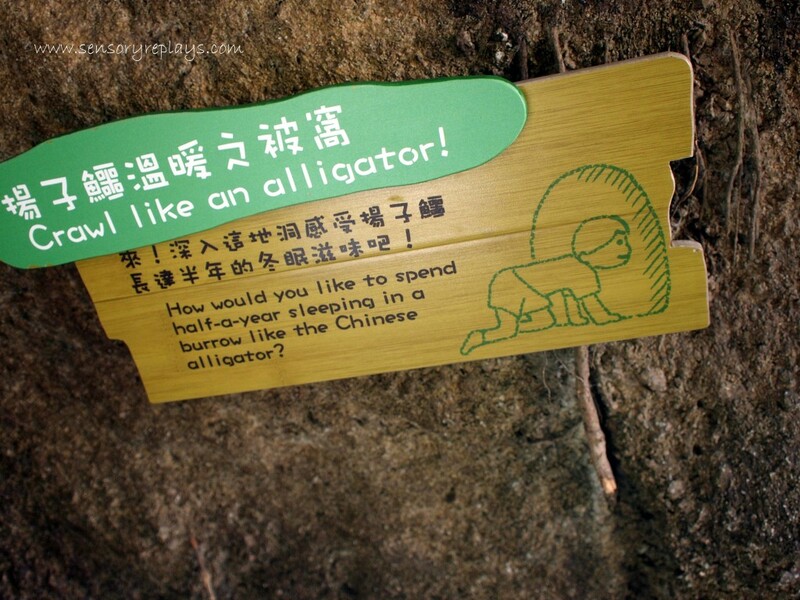 .. visit him when its feeding time! congee was good for a light lunch. 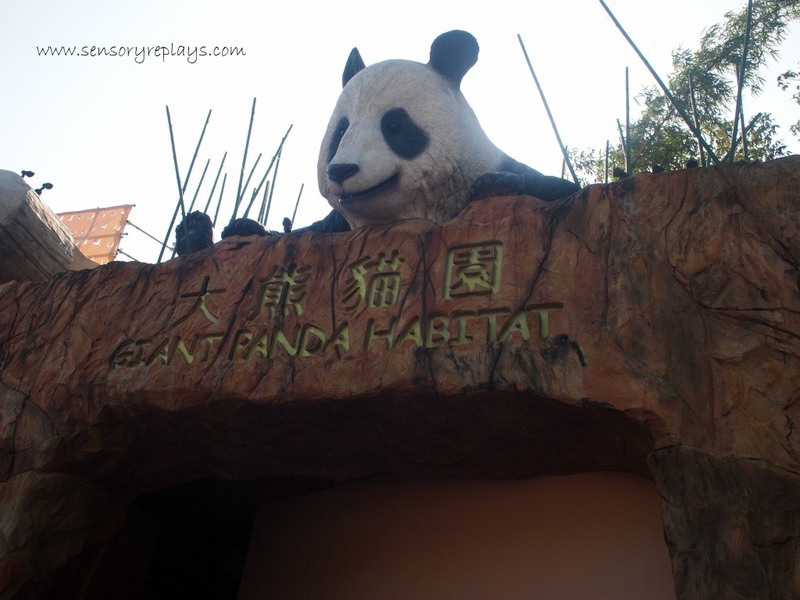 that panda is so adorable, enough reason for me to check out the park next time. .. he is claire! it was the first time i saw a panda. ung panda lang siguro, magandang reason na para pumunta sa park. un lang gusto ko para pumunta ng HK. .. magshopping ka na rin lj!